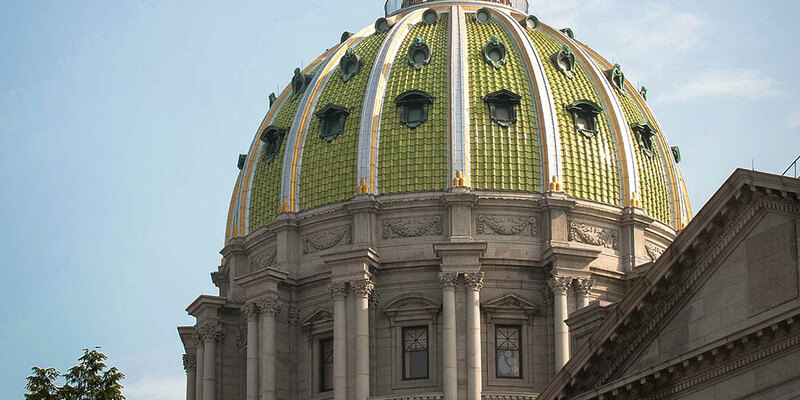 Harrisburg, PA – Today, Governor Tom Wolf announced new low-interest loan approvals through the Pennsylvania Industrial Development Authority (PIDA) program for 15 business projects in 13 counties across the commonwealth that will help create and retain nearly 500 jobs statewide. In 2018, PIDA has approved $24 million in low-interest loans that have resulted in $35.6 million in private investment and supported 1,478 created and retained full-time jobs. This month, PIDA approved a total of just under $12 million in fixed, low-interest loans to projects in Bradford, Bucks, Cumberland, Erie, Fayette, Jefferson, Lancaster, Lebanon, Lehigh, Luzerne, Montgomery, Northumberland, and Somerset counties. Moore Trucking LLC was approved for a $540,000, 15-year loan at a 3.5 percent fixed rate through the Northern Tier Regional Planning & Development Commission for the acquisition of a 20,600-square-foot building located in Canton Township. The project will also include 2,000 square feet of office renovations, a wash bay and tire/parts room, and drainage. The project is expected to retain 35 existing employees while adding 20 additional full-time workers, including administrative, management, and shop employees, as well as truck drivers. OP Schuman 2001 County Line Rd LLC was approved for a $2 million, 15-year loan at a 2 percent fixed rate through the Bucks County Economic Development Corporation for the acquisition and redevelopment of an underutilized industrial property located in Warrington Township. This project will address the demand in the Warrington area for rental real estate for growing businesses that need updated office, warehouse, and manufacturing space for their businesses. Cliff’s Restaurant Group, Inc. was approved for a $199,000, 10-year loan at a 2 percent fixed rate through the Cumberland Area Economic Development Corporation to purchase new machinery and equipment that will be installed in the new restaurant located in Lower Allen Township. Upon completion, the new venue will offer a variety of eating and entertainment choices, including casual family-friendly dining, sports bar facilities, nightclub entertainment, and a banquet area and catering services. X-Cell Tool and Mold, Inc. was approved for a $500,000, 15-year loan at a 2 percent fixed rate through the Enterprise Development Center of Erie County, Inc. for a 19,275-square-foot addition and renovations to their existing 22,298-square-foot production facility in Fairview. The company constructs molds that make products for the medical, cosmetic, food, beverage, automotive, and telecommunication industries. The project is expected to retain 48 full-time jobs and create five full-time jobs within three years. Johnson Tax & Accounting was approved for a $130,000, 15-year loan at a 2 percent fixed rate through the Southwestern Pennsylvania Corporation to construct a 3,025-square-foot building located in Connellsville. Johnson Tax & Accounting provides tax preparation and book keeping services by Randy D. Johnson, a certified public accountant. The project will result in the retention of one full-time employee. Cathedral Pines, Inc. was approved for a $318,000, 10-year loan at a 2 percent fixed rate through North Central Pennsylvania Regional Planning & Development Commission for renovations and upgrades to the kitchen and lodge, the replacement of two cabins, new equipment for the kitchen, and paving the driveway at the Gateway Lodge in Cooks Forest State Park. The project is expected to retain 14 full-time jobs and create four full-time jobs within three years. Kourt Security Partners, LLC and Security Partners, LLC were approved for a $1.92 million, 15-year loan at a 2 percent fixed rate through EDC Finance Corporation for the renovation of an existing vacant building located in Lancaster City. The building is being renovated into a 22,580-square-foot Class A office building with a ground-level parking garage to serve as the national headquarters of Kourt Security Partners and Security Partners. The project is expected to retain 253 jobs. Benjamin and Tonya Moyer were approved for a $400,000, 15-year loan at a 2 percent fixed rate through the Lebanon Valley Economic Development Corporation for the construction of two 63×500-foot poultry broiler barns on the Moyer’s existing farm located in East Hanover Township. Benjamin and Tonya Moyer are lifelong farmers. Coretech International, Inc. was approved for a $252,000, 10-year/20-year amortization loan at a 2 percent fixed rate through Lehigh’s Economic Advancement Project, Inc. for the acquisition of a vacant 11,800-square-foot building on 1.5 acres located at in the city of Allentown. The company will move from New Jersey to Pennsylvania, and additional space will allow the company to grow and increase current production efficiencies. The company’s six employees will be moving to the new facility, and the project is expected to create an additional three jobs within three years. Gooch Thermal Systems, Inc. was approved for a $1.1 million, 15-year loan at a 2 percent fixed rate through Lehigh’s Economic Advancement Project, Inc. for the acquisition of a 28,217-square-foot industrial building located on 3 acres in Whitehall Township. Gooch Thermal Systems and its affiliates will consolidate their operation to one industrial site, saving the company administrative costs and allowing for greater efficiencies and workflow. The project is expected to retain 10 existing jobs and create 15 full-time jobs within the next three years. Greater Hazelton Community Area New Development Organization, Inc. (CAN DO) was approved for a $2 million, 10-year/20-year amortization loan at a 2.5 percent 5-year reset rate for the acquisition of a 90,000-square-foot industrial building located in Hazle Township. The site will be aggressively marketed by CAN DO for single tenant use in the market after the development of the building is modified with various external improvements. Alexanderwerk, Inc. was approved for a $765,000, 15-year loan at a 2 percent fixed rate through Montgomery County Development Corporation for the acquisition of a 16,300-square-foot facility on 2.5 acres in Montgomeryville. The company currently leases the office/flex industrial facility to provide engineering, assembly, and worldwide sales and distribution of standard and customized light industrial machines. The project is expected to retain nine full-time jobs and create nine full-time jobs within three years. R&F Family Farms was approved for a $400,000, 15-year loan at a 2 percent fixed rate through SEDA-Council of Governments for the construction of a 40,600-square-foot hog finishing facility in Shamokin Township. R&F Family Farms is a partnership formed in 2016 between Jonathan Francis and Andrew Reitz to become contract hog growers for Country View Family Farms. Blue Springs Farm, LLC was approved for a $400,000, 15-year loan at a 3.5 percent fixed rate through Southern Alleghenies Planning & Development Commission for the construction of a 40,914-square-foot hog finishing barn on 182 acres located in Brothersvalley Township. Blue Springs Farm’s operation includes growing corn, hay, soybean, wheat, and raising beef cattle. Clapper Table Enterprises, LLC was approved for a $477,000, 15-year loan at a 2 percent fixed rate and a $353,791, 7-year loan at a 2 percent fixed rate through Somerset County Economic Development Council for the acquisition of machinery, equipment, and real estate of the former Clapper’s Industries, as part of the sale of the company to Jonathan Simpkins, the current general manager. The company, a manufacturer of plastic-laminated and wood-veneered furniture tops and panels, is expected to retain 23 existing employees and create five new jobs within three years through this project.